Many people really enjoy reading a good article or story. This enjoyment passes over into online content as well. Superior content can bring a level of entertainment for your customers and other web site visitors. But high quality content does MUCH MORE than provide entertainment. 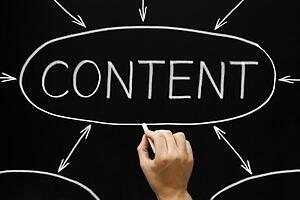 Generating content for your website will help your business to grow and flourish. Building loyalty – your existing customers will look forward to updates and new information from your content. This can be in the form of website updates, email newsletters, blogs, Ebooks or other items. Generating leads – potential leads can find you more easily with the right content, and by reading quality content those leads will be more likely to click to your website and begin the sales process. Improving search ranking – your search rankings will improve with content that is enriched with SEO. By increasing your search rankings you will be found more often and realize an increase in your website traffic. Increasing referrals – really good content will be shared and referenced more often online. This can improve the number of referrals from your customers. Pre-qualifying leads – the number of leads will increase with better quality content, but also the number of qualified leads will increase. These leads can already pass one level of your qualifying process before entering into your sales cycle. Creating buzz – better content will entice readers to take some type of action. This can be providing comments or feedback, sharing or sending a copy via email, or beginning the sales process to purchase from your company. Chatter is a good thing because when people start talking online about a business, you will get more traffic and more sales opportunities.